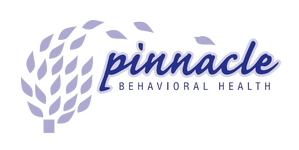 Christine is currently a part time therapist with Pinnacle Behavioral Health. She holds a BA from John Jay College of Criminal Justice in Forensic Psychology and an MS from St John Fisher College in Mental Health Counseling. Christine's specialties include Medication Assisted Therapy, Substance Abuse, Addictions, Infectious Disease (HIV, Hep C), Depression and Anxiety. Hobbies/Interests: Outdoor activities, hiking, kayaking, wellness, music and spending quality time with family and friends!